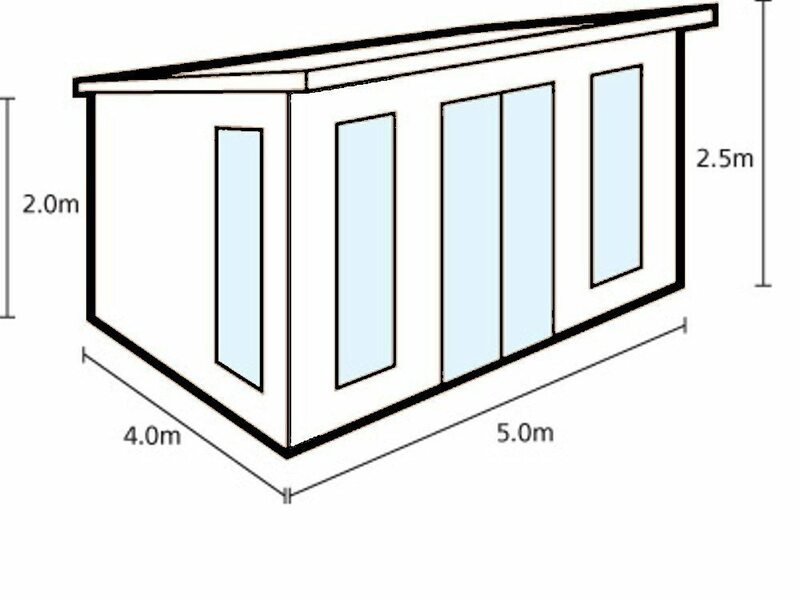 Firstly, the Mendip timber wall sections are made from 44mm machined logs. 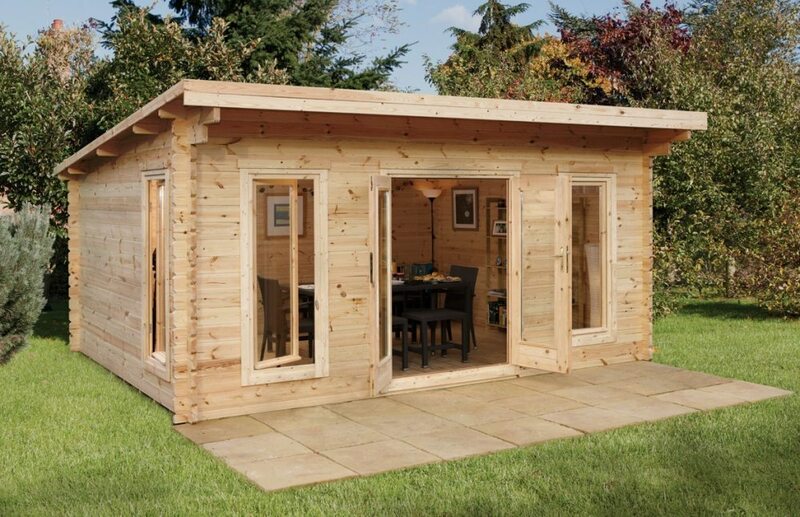 The cabin is a generous size making it suitable for a wide range of uses – office/study, summerhouse or gym area. The double doors are flanked by a window on each side, they are double glazed and secured with mortise locks. 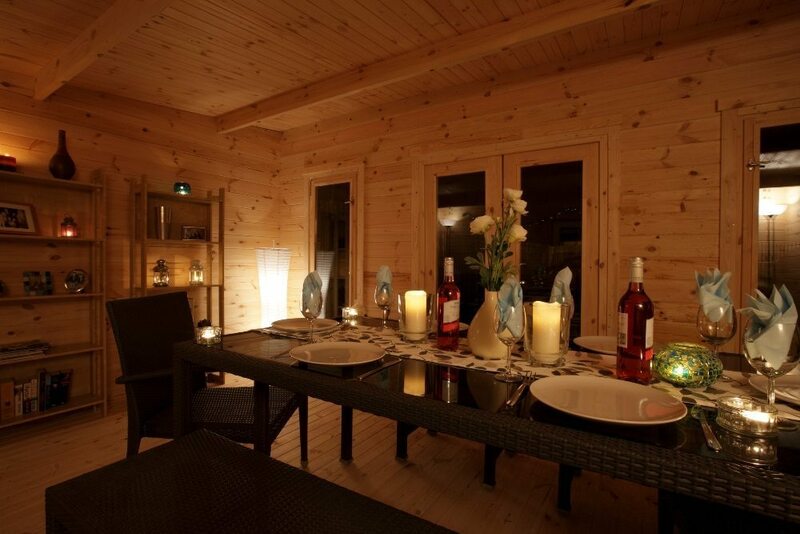 In total the Mendip Log Cabin boats eight windows all of which are double glazed. The floor uses 28mm tongue and groove boards. 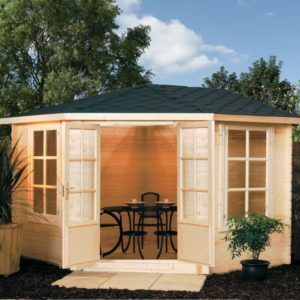 For the roof this cabin uses 19mm tongue and groove (TGV) boards. The Log Cabins are delivered to kerbside and in flat pack format for the customer to assemble. All buildings are supplied with detailed Assembly Instructions which can be downloaded from this page in PDF format. 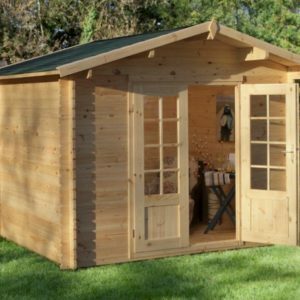 Forest Garden also offer a home assembly service on all log cabins. Their nationwide service is conducted by trained Forest installation teams at an agreed time. Look out for the assembly rates for each building. However, their service is assembly only and does not include laying bases, dismantling or disposal of existing buildings. 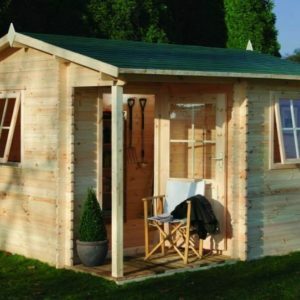 Finally, all these Log cabins are delivered free from their Worcestershire Warehouse, or haulier’s depots direct to the customer’s preferred UK Mainland address. 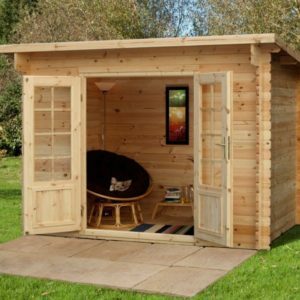 Therefore no Forest Garden Log Cabins are available for collection from our Devon premises.